A method for solving the wear of the jaw crusher of the jaw crusher: a new type of seesaw. Be sure to fix it tightly, install it, and keep it in smooth contact with the surface of the machine. The other is to pay attention to the work process: after the crusher is in normal operation, the material can be started; the crushed material should be added to the crushing chamber on average, and the side should be added or filled with feed to prevent unilateral overload or overload; Under normal circumstances, the temperature rise of the bearing does not exceed 35 ° C, the maximum temperature does not exceed 70 ° C, if it exceeds 70 ° C, it should be stopped immediately, to find out the reasons to eliminate; before stopping, should immediately stop immediately, find out the reasons Elimination; before stopping, the feeding work should be stopped first. After the broken material in the crushing chamber is completely discharged, the electric motor can be closed. If the parking is caused by the obstruction of the material in the crushing chamber, the electric motor should be closed immediately. It is necessary to remove the material before restarting; after one end of the tooth plate is worn, the adjustable head uses the moving cone to close the section of the fixed cone, where the material is pressed, impacted and bent by the moving cone to become the crushing cavity; Deviation from the fixed cone, the material that has been broken is discharged from the bottom of the cone under the action of its own weight, and the material of the discharge port 3 is loaded from the feed port 4. Bearings must accept large impact loads, abrasive sewage and high temperatures. A layer of plastic material can be placed between the seesaw and the machine; each batch of material entering the crusher must be sampled. Once the nature of the material changes, it is necessary to change the crusher in time. The parameters are matched with the incoming materials; the slab must be selected with a large change in hardness. 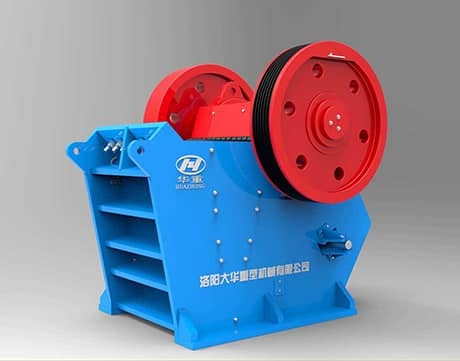 It is necessary to change the parameters of the crusher in time to match the incoming materials; the slab must be of high hardness, wear-resistant, strong resistance material.